Great design is a culmination of life experiences and aspirations. An interior decorator can bring great value to a residential or commercial project. If you are looking to redo your home or small business space, a decorator pulls the overall design together by establishing continuity and cohesion between color schemes, finish selections, furniture, fixtures, flooring, lighting, window treatments, artwork and accessories. 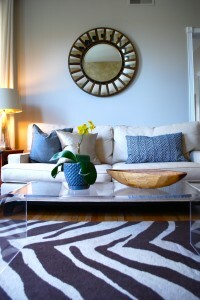 Megan Blake Design can help your personality shine by making your space truly reflect you. We focus on how a space works and match our expertise with your design goals to increase your space’s function and preferred style. Our strong relationships with top craftsman and tradespeople aids us in identifying efficient ways to accomplish your goals while steering away from potentially costly mistakes. At Megan Blake Design, we take into full consideration the impact our designs have on homes, the environment, and the people that live in them. We are committed to incorporating eco-friendly options into our interior and exterior design plans whenever possible.